Designed and engineered in the UK, the new Studio by Dualit kettle has a sleek gloss finish, which frames a matt, micro-textured, dotted pattern for an eye-catching contrast. 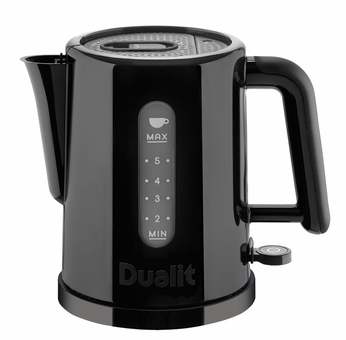 The Studio by Dualit Kettle features revolutionary, patented Sure Pour, which not only features a precision engineered, non-drip spout, but provides the user with the easiest of pours due to its low pouring angle, easy-grip handle and lightweight construction. A sleek, gloss finish frames a micro-textured, dotted pattern for eye-catching contrast. 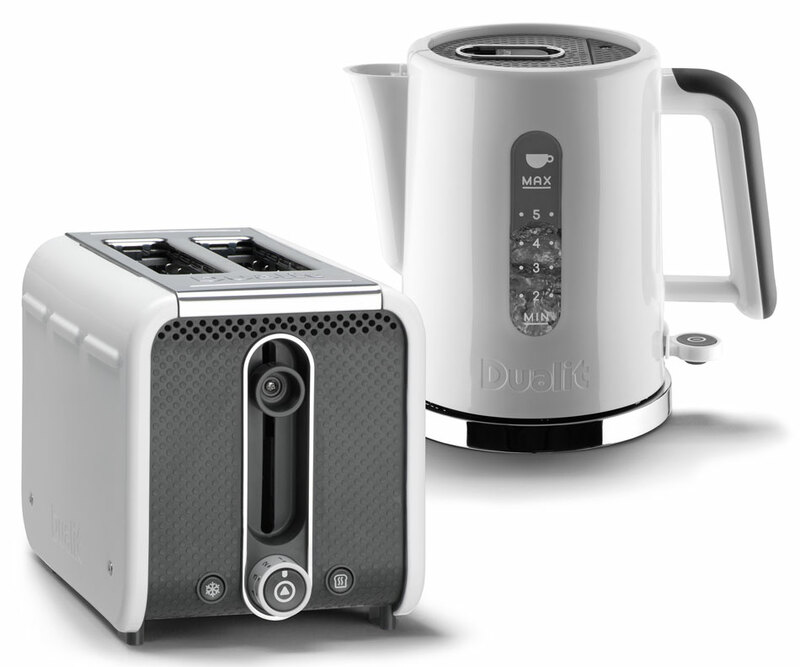 The Studio by Dualit™ Kettle epitomises current trends in kitchen interiors. Ideal for anyone looking for a kettle that is easy to handle, particularly those with arthritis or who suffer with lack of grip. 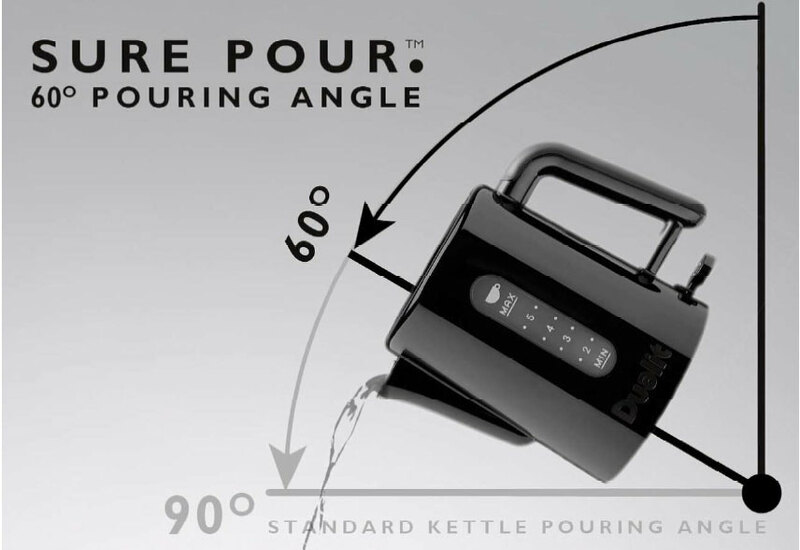 The 60° pouring angle combines with neutral wrist action and a precision engineered non-drip spout. 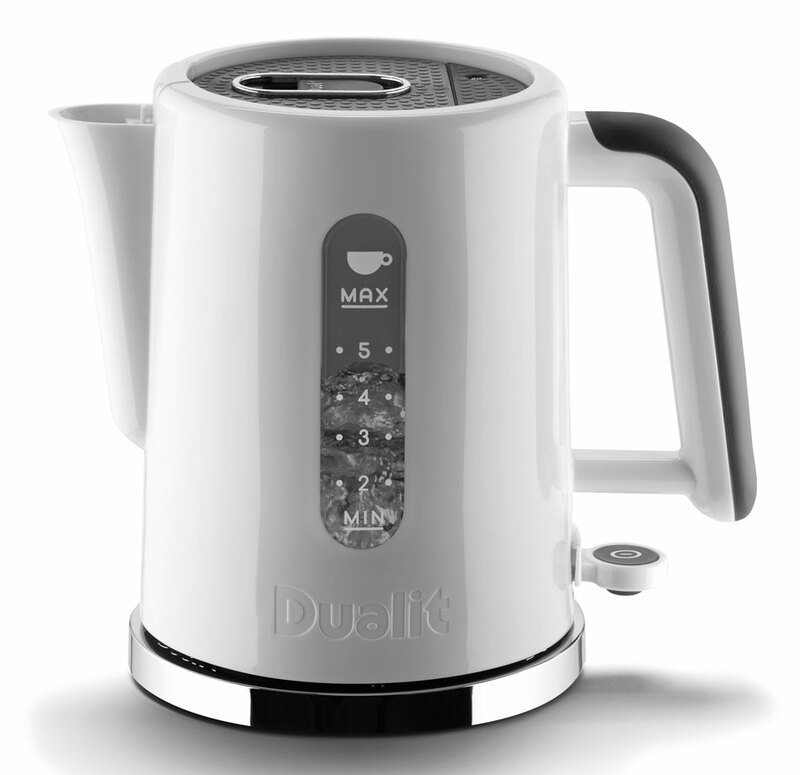 The Studio by Dualit Kettle is cleverly designed with two different measuring windows. For avid tea drinkers, one side features a cup level indicator and the other side measures the water in litres - ideal for when you are cooking.